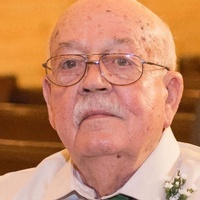 David William Heiges, 87, of Gray, passed away Sunday, January 27, 2019. Funeral services will be held Thursday, January 31, 2019 at 11:00 AM at Hart’s Mortuary, Jones County Chapel with the Reverend Jason Dillard and the Reverend Paul Melton officiating. The family will greet friends one hour prior to the service. Burial will follow at Cedar Ridge Cemetery. In lieu of flowers, the family asks that donations be made to Gray United Methodist Church Building Fund, 117 South Jefferson St., Gray, GA 31032 or the charity of your choice. Mr. Heiges was born July 3, 1931 in Minneapolis, Minnesota to the late George and Edith Heiges. He grew up in Ft. Thomas, Kentucky and graduated from Purdue University. Mr. Heiges served with honor in the United States Marine Corps. After a long career in forestry, he retired from the United States Fish and Wildlife Service in 1991. He was a member of Gray United Methodist Church. Mr. Heiges is preceded in death by his first wife, Dorothy, his parents, and his sister, Marjorie Kjelsberg. Mr. Heiges is survived by his wife of 42 years, Ann Watson Heiges of Gray; sons, Michael (Karen) Heiges of Acworth, Georgia and Mark (Nancy) Heiges of Athens, Georgia; daughter, Pam Heiges of Pine Lake, Georgia; step-daughter, Carol Goodwin of Statesboro, Georgia; grandchildren, Matthew, Kyle, Thomas, and Anthony Heiges; and step-grandchildren, Patrick Moore (Ross Beall), Jennifer Moore and Jessica (Tyler) Simmons. Hart’s Mortuary, Jones County Chapel, 307 Pecan Lane, Gray, Georgia 31032 has charge of arrangements.